Banana bread is so evil. I always find the term banana bread amusing because the name itself seems to be trying so hard to deceive you into thinking that it's healthy. Like, "Look I'm banana bread. That's right, banana, which is fruit, so good for you! And it's bread!! That's like what they make healthy sandwiches with. Healthy!! Really! Oh and by the way, since I'm bread you better toast me and slather butter on me." It doesn't fool me. But I'm still going to eat it anyway. But it's cake! 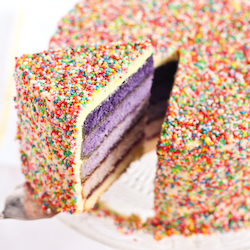 Really good cake which you can toast for extra golden, crunchy goodness. Mmm. I was excited to finally find some cocoa nibs while shopping at Essential Ingredient with Lisa after our trip to the Counter Burger. That place is so evilly good and expensive. 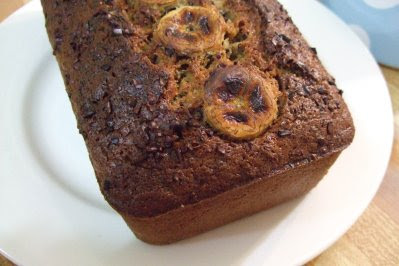 I've been craving banana bread for a while and the idea of adding some crunchy, slightly nutty-flavoured cocoa nibs to it really appealed to me. 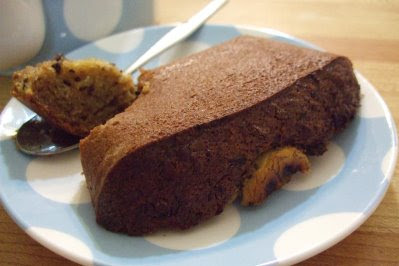 If I ever do any kind of banana cake I always go with Stephanie Alexander's recipe. It is foolproof. I usually bake it in a square cake tin and then top it with some lemon cream cheese icing which always gets the big thumbs up from everyone. I played around with the recipe a bit, but not much. Adding the cocoa nibs gives it great texture, the same way some chopped nuts would. The cocoa nibs add a little bit of bite and a tinge of cocoa flavour that balances the sweet bananas and brown sugar really well. It was a little greasier than I would have liked for banana bread so I might reduce the butter next time. However the greasiness problem was solved by sticking it on the big flat toasters at work. Crunchy golden exterior, moist and crumbly interior. 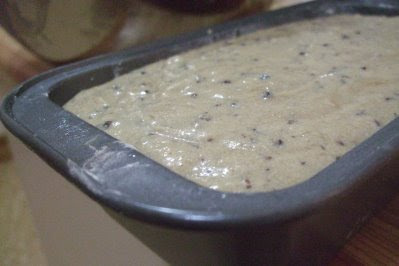 Preheat the oven to 180 degrees c. Grease and flour a medium loaf tin. Cream butter and sugar until light, pale and fluffy. Beat in eggs, banana and vanilla. Sift dry ingredients together in a bowl. Alternate adding dry ingredients and buttermilk and mix until well combined. 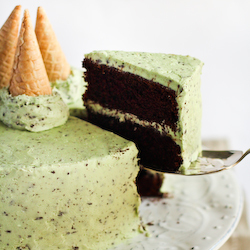 Set aside a handful of cocoa nibs for sprinkling on top. Fold in most of the cocoa nibs and ensure they are well combined. 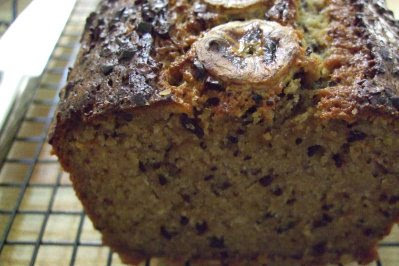 Pour into your loaf tin, sprinkle your extra cocoa nibs on top and place some banana slices on top if you want to pretty it up a bit. Bake in the oven for 45 minutes to an hour, until a skewer comes out clean. The loaf may take longer to bake through compared to making it in a cake tin. i love the photos. i always look at cocoa nibs and wonder what I can do with them. Ooohhhh man that banana bread totally kicks my boring oatmeal's a$$ for breakfast today. And 'twas great to finally meet you! 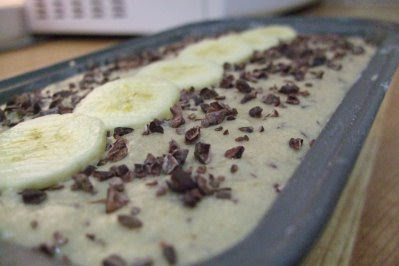 Banana and chocolate, they're a great match! Looks delicious! Trisha - Hahaha! Yeah I wish I had more of it now! It was great to finally meet you too :) And yay for cupcake pops! Gab* - They are a great match! especially these since they're not too sweet :) Thanks so much! I have the same issue with carrot cake. Evil evil stuff, especially with cream cheese frosting. 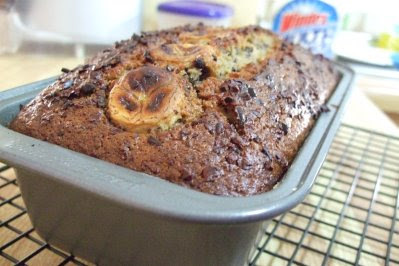 (yummm) Cocoa nibs in banana bread sounds bananatastic! Hehe I know what you mean. Bread as in banana bread and muffins are just cakes! lol As in not healthy or low in fat. 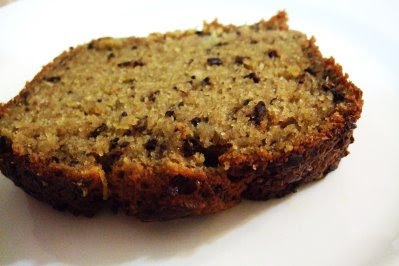 I read an article about common food traps, and banana bread was one of them! Oh, but it's so good. I had some with my brekkie this morning (on the side!) lol. I love a good banana bread. Yours looks delicious too! Y - Oh yeah that stuff is evil, though I think cream cheese frosting tips it over the edge into official cake-land! Haha bananatastic, I like that! Thanks! Betty - Thanks :) Yeah it doesn't surprise me, but it does make a damn good breakfast on a cold morning so I'm still going to keep eating it anyway! 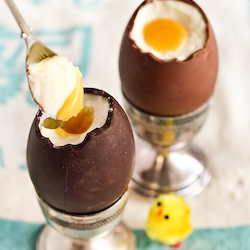 I know this recipe was added years ago - but just saying thanks for sharing.... 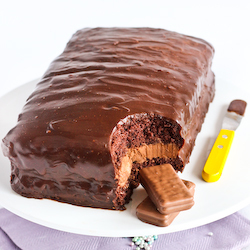 I have made this cake once a month almost for years now! It is a family and visitor favourite! Perfect with cacao nibs!